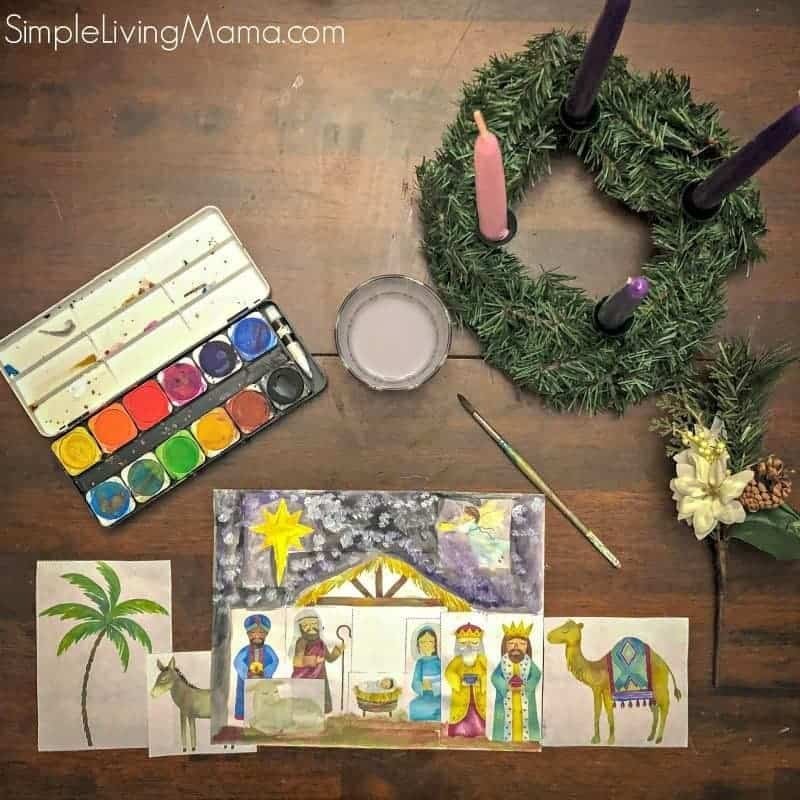 While I was planning Christmas activities for my preschoolers and kindergartner this year, I decided that I really wanted to create a Nativity Printable Pack that included all of the activities my kids love with gorgeous nativity themed watercolor clipart. So, that’s what I have for you today! 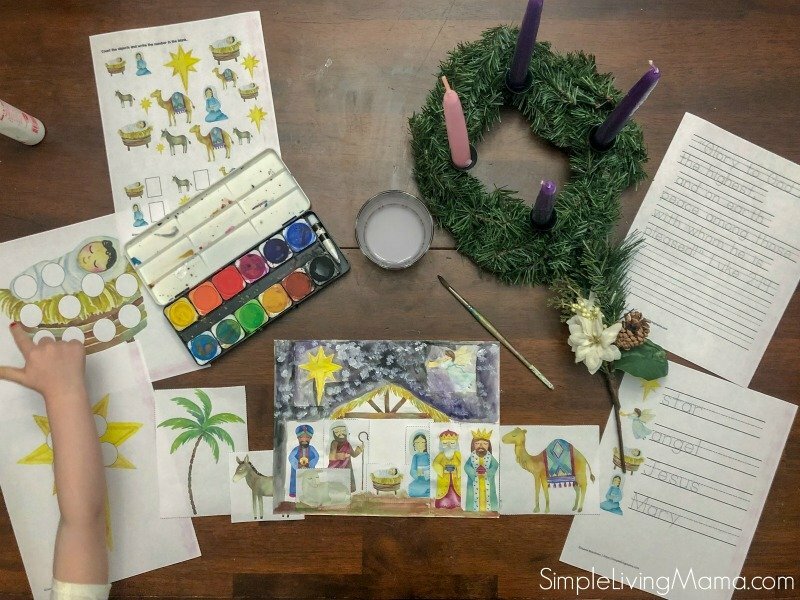 There are 17 pages of fun nativity themed pages for your young learners! 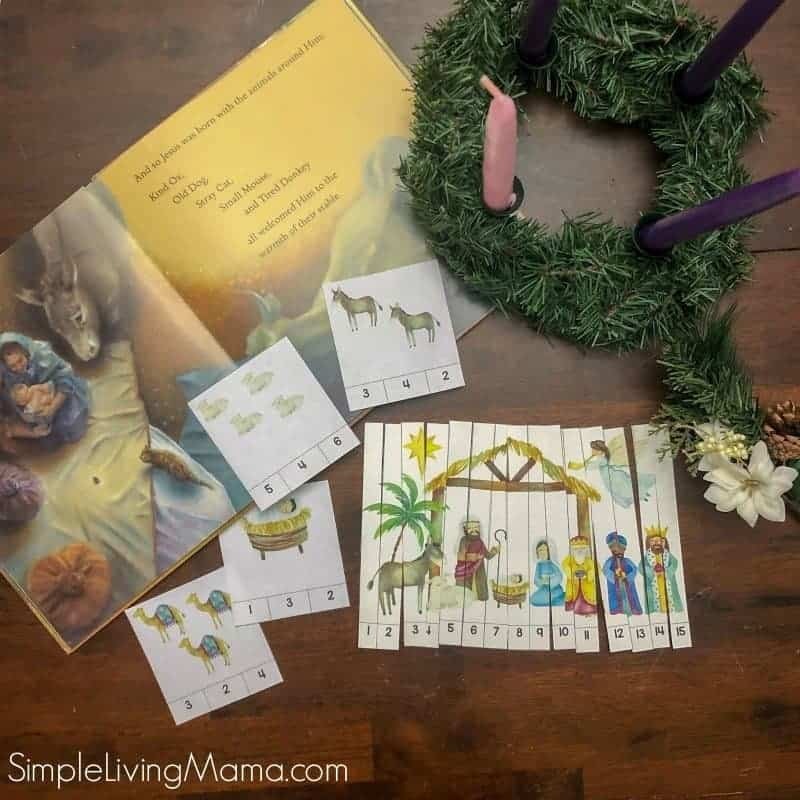 One of my favorite activities in this pack is the Build a Nativity activity. I printed all of the pieces and had the kids cut each piece out. We then glued them on to a piece of card stock and used watercolors to create a background. I suggest using a larger piece of watercolor paper to fit everything on to the page, but this is still such a fun activity! I have included the verse Luke 2:14 ESV in both manuscript and cursive. 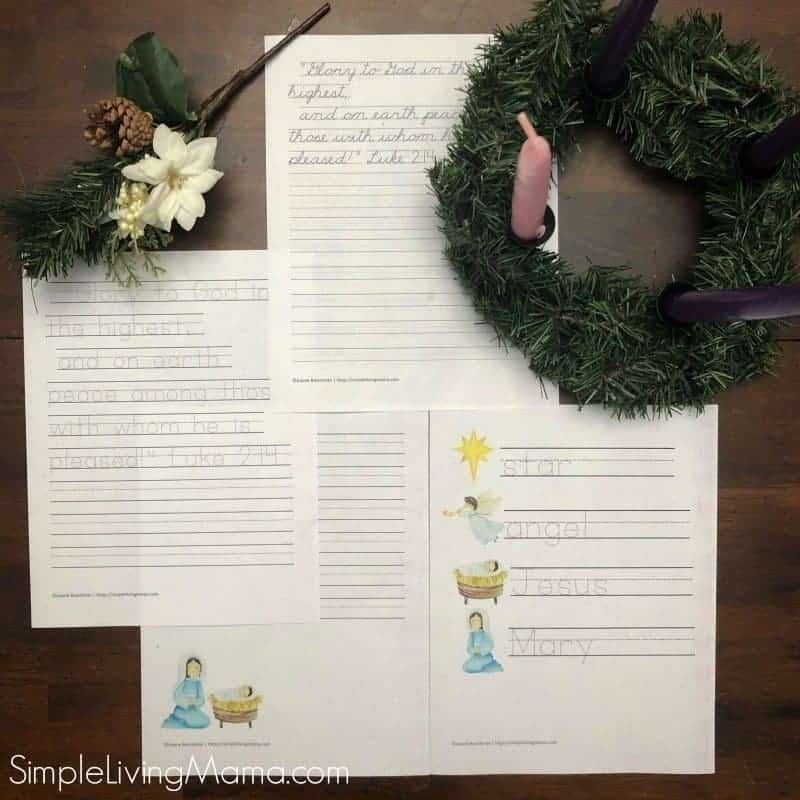 Have your child copy the verse to help commit it to memory! 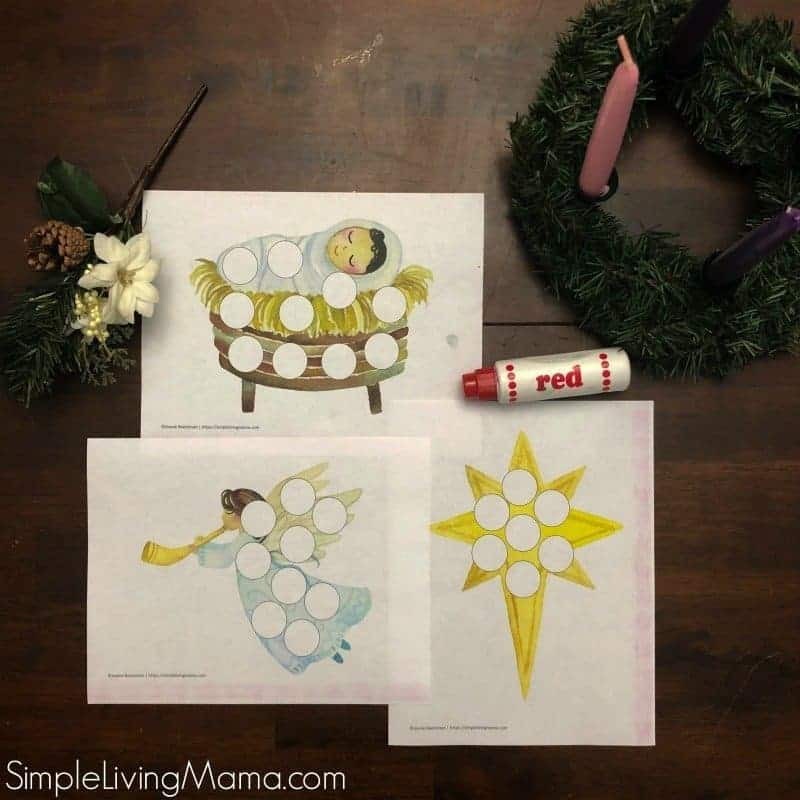 My kids absolutely love do-a-dot worksheets! I created three fun do-a-dot sheets for them to dot while we do morning time. I think these are my kids’ favorite pages! I have two “I Spy” pages. One page the kids need to count the number of objects and write that number in the box below. In the second page, children need to find a dot all of the capital J’s. Also included is a set of number clip cards for more counting practice, and a sequencing puzzle. My kindergartner is really into counting above 10 right now, so this puzzle is just perfect for him. It’s also great for fine motor skills. Give your child a clothespin so he can clip the correct number of objects in each clip card. 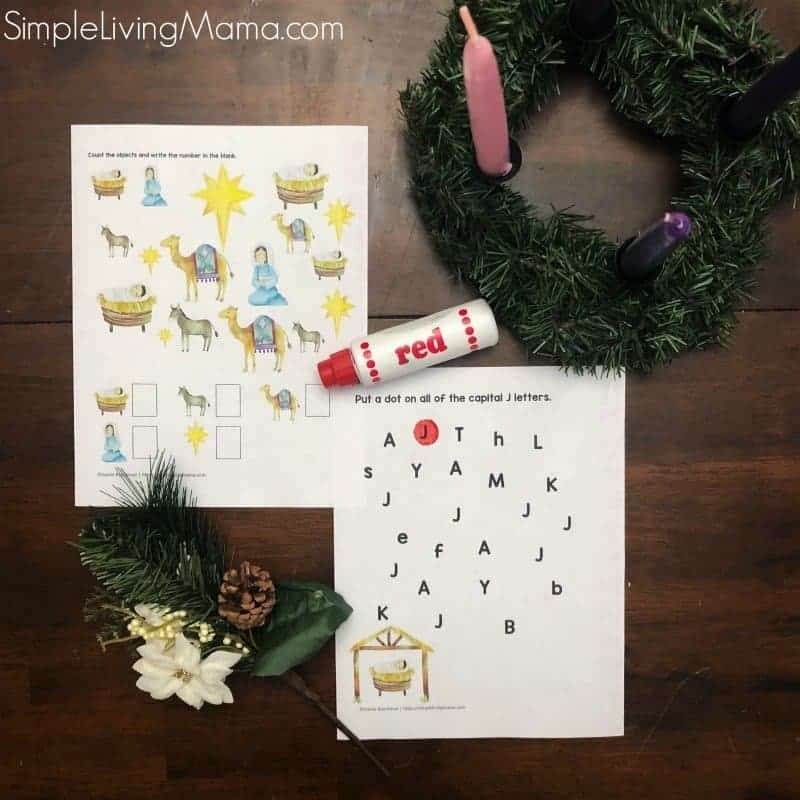 This printable nativity pack makes such a sweet addition to any preschoolers days during Christmastime. 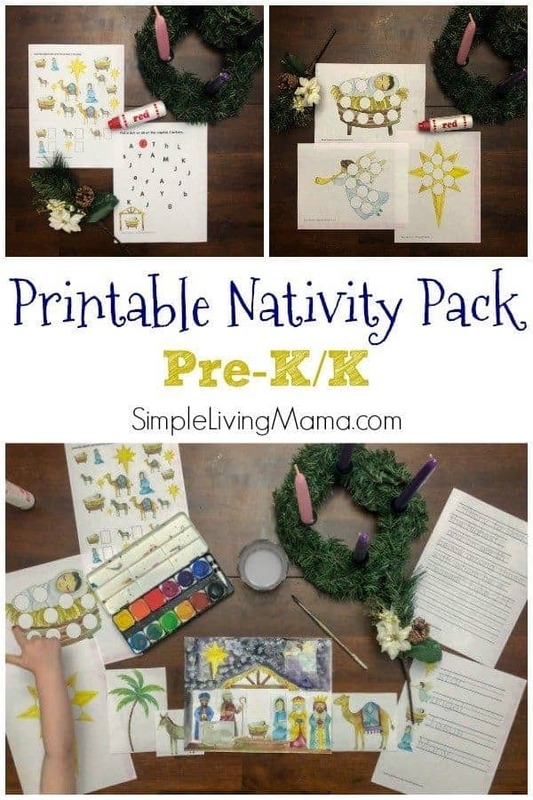 I have a feeling I’m going to be printing the “Build a Nativity” pieces over and over. I can think of a few different ways to use them!